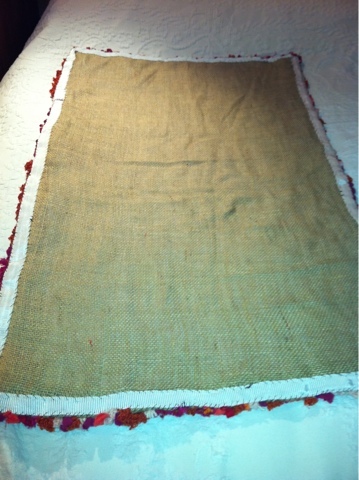 After ironing interlining to the back of the rug I turned, pinned then tacked the edge allowance. 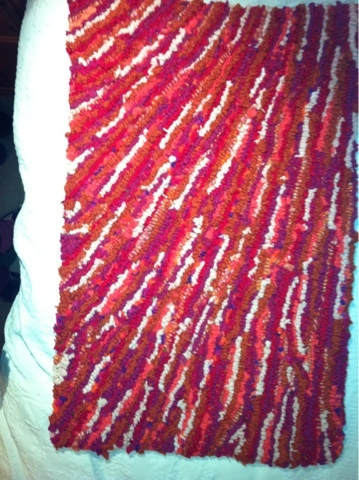 I pinned another piece of canvas to the back and cut it to a bit smaller than the rug. I laid the rug out flat, wrong side up, and sprayed it with spray rubber solution glue. Then I quickly rolled out the backing piece and smoothed it across the whole back - a tense moment. 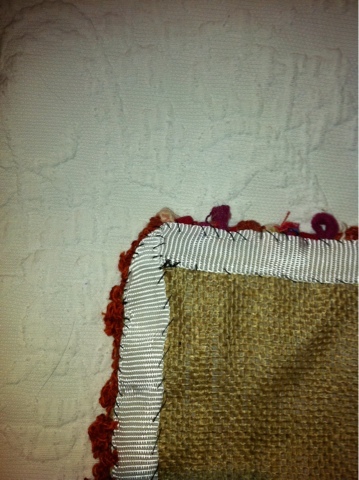 I pinned then whip-stitched tough petersham binding (sold as carpet binding) around the edge. Then I showed the rest of the family the fruits of my three months labour and they all said, Yeah, right. Oh well, onto the next one! I think it's lovely, well done! Looks great! On to the next one...!